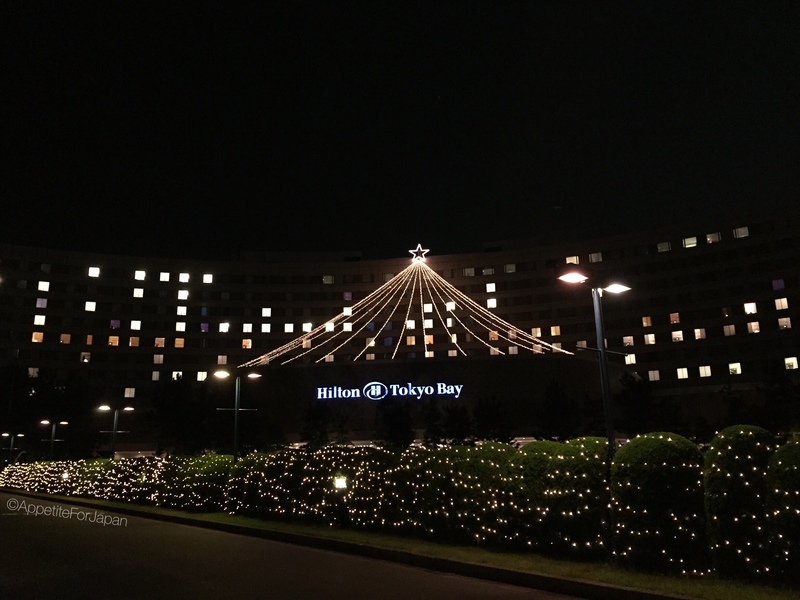 Hilton Tokyo Bay is one of six Tokyo Disney Resort Official Hotels located within Tokyo Disney Resort. Aside from being in close proximity to the Disney parks, there are a number of benefits to be gained from staying in a TDR Official Hotel. 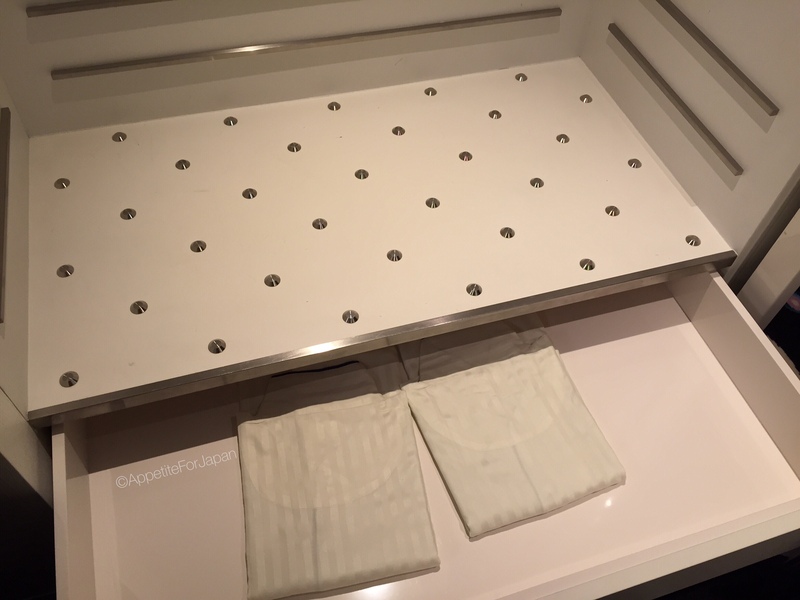 We recently spent two nights in a King Celebrio Park view room at the Hilton Bay Tokyo hotel. 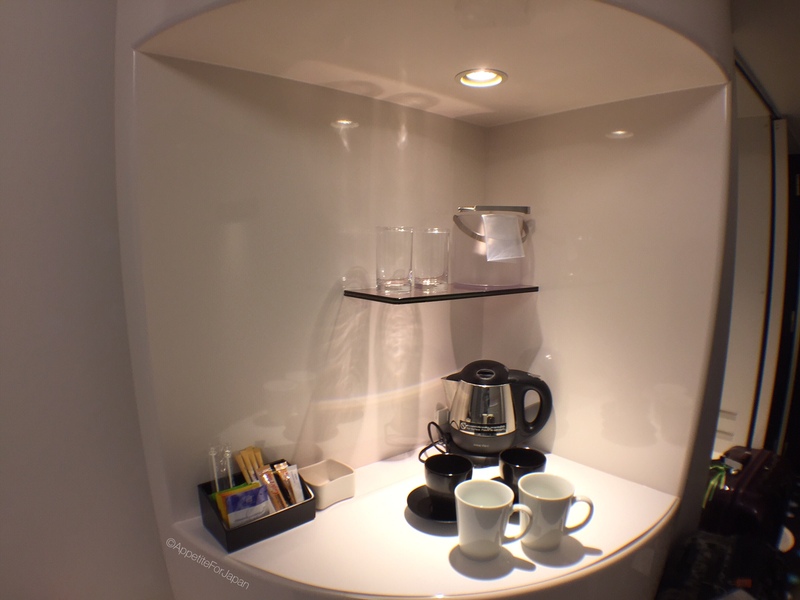 Hilton Tokyo Bay has several options when it comes to rooms. We opted for a King Celebrio Park room. 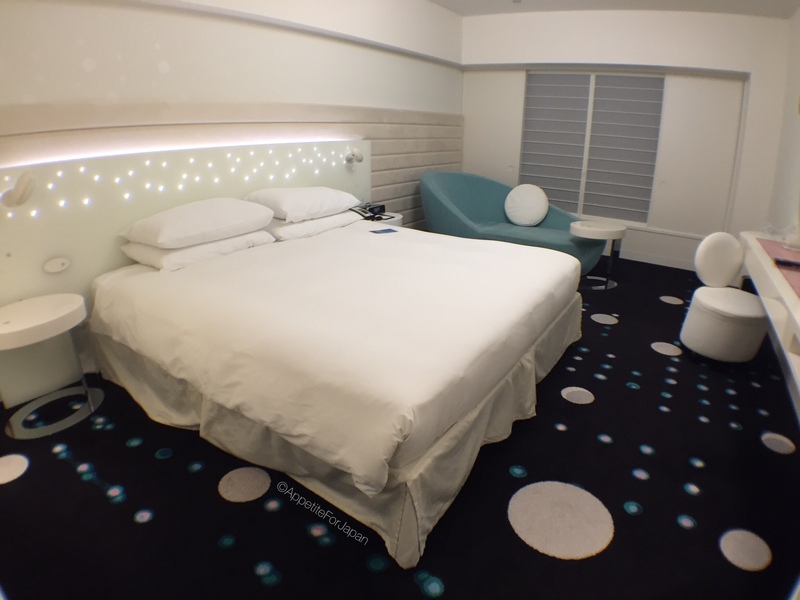 That is, a stylish room with a space-age look, a king size bed and a view out toward the Disney parks. A big change from the Venetian-influenced styling of DisneySea Hotel MiraCosta! 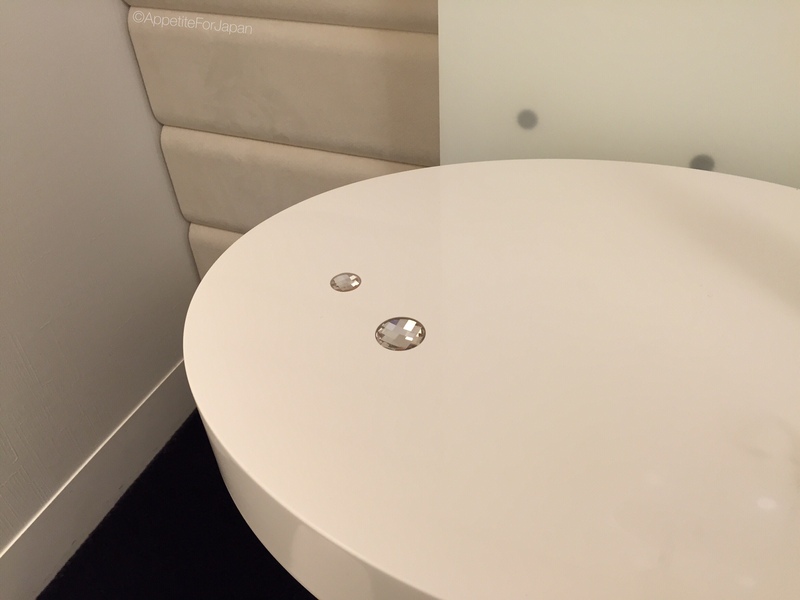 Rhinestones embedded in the bedside table. The bathroom. 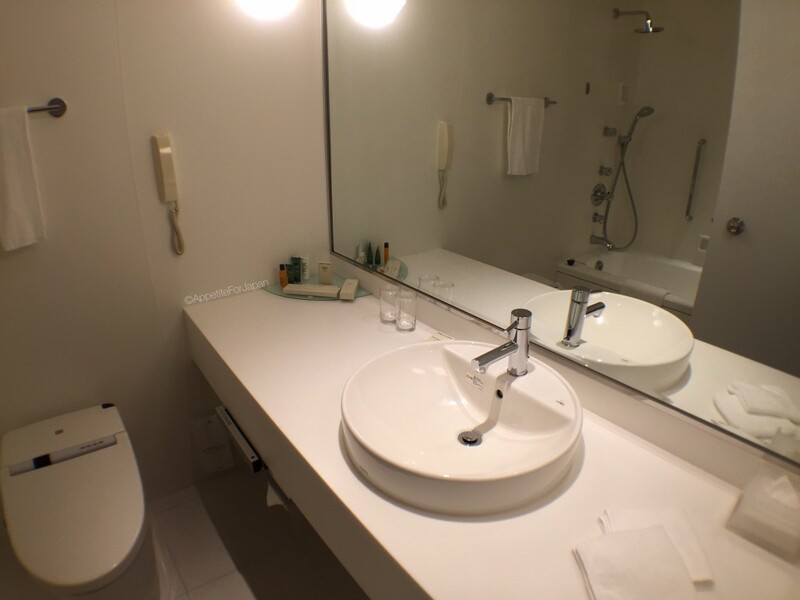 Look at the bath/shower in the reflection – you can see that the shower actually has two different shower-heads. A large fixed one at the top, and a hose-type below it. Plenty of options for the toilet. 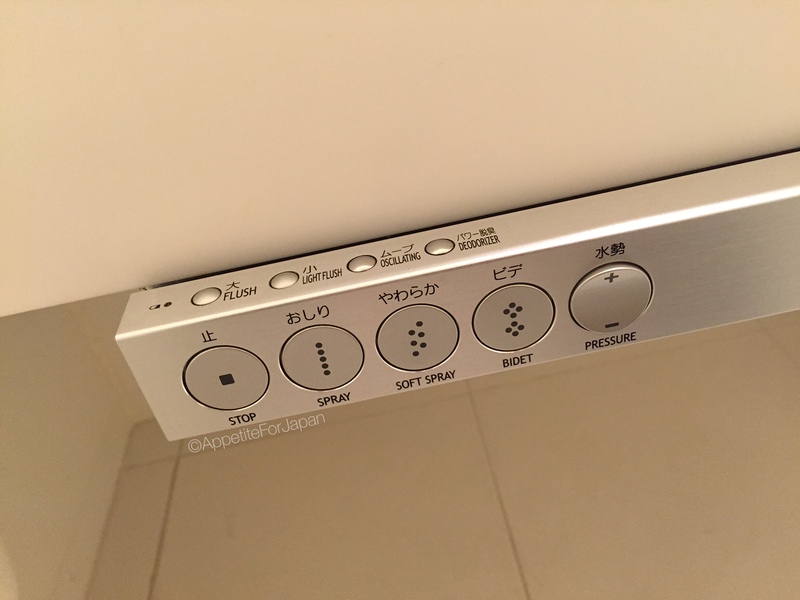 One of those buttons is to flush the toilet, but it has a censor so you don’t even need to press that button! A set of plugs for power, LAN and even bath audio! You’re meant to plug this into your phone so that you can enjoy music while you’re in the bath. 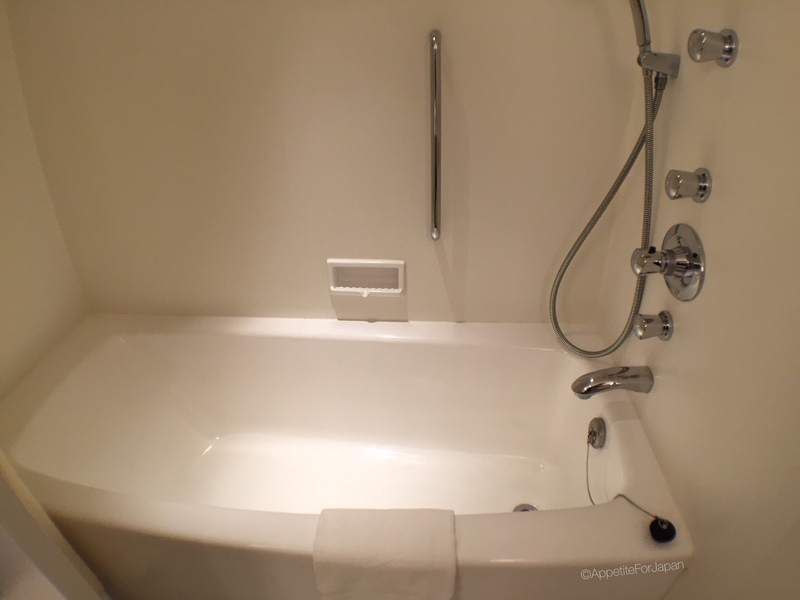 Here’s where you can control the bath audio. We tried it, but didn’t have any success. 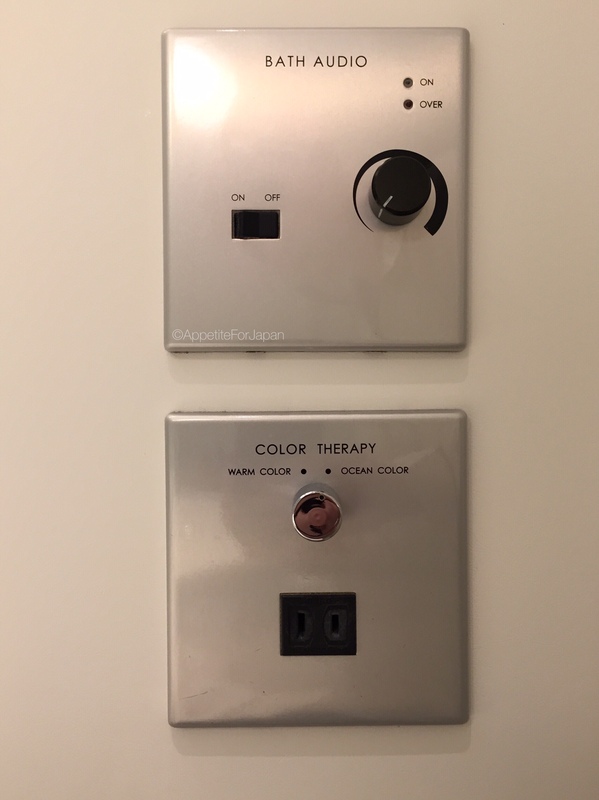 Below the bath audio dial is the ‘color therapy’. 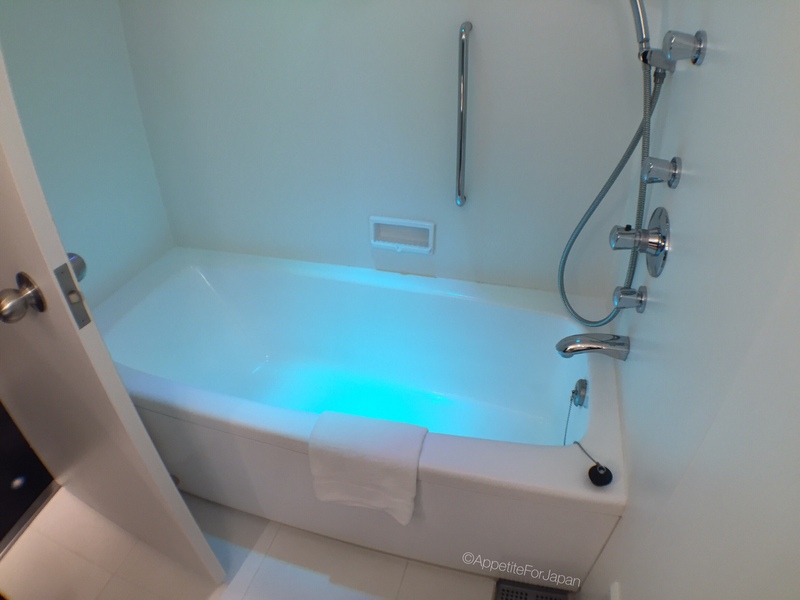 And here is the bath under the ‘ocean color’ lighting! ‘Warm color’ is just the ordinary lighting as per the previous bath photo. The space-age Celebrio styling continues out to where the lifts (elevators, for my US readers) are. 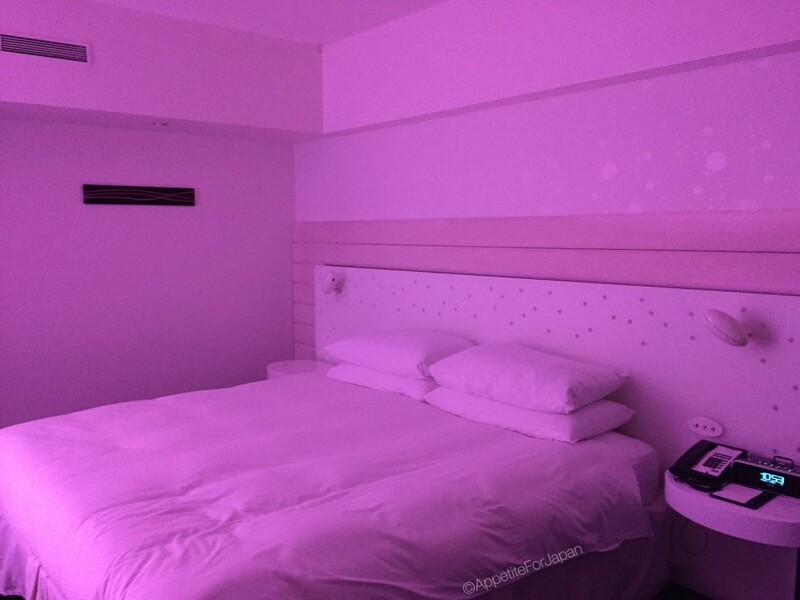 Celebrio rooms are located on the higher floors of the hotel. Our King Celebrio Park room was on the 9th floor. Parts of the corridors have windows and you can see across to the other side of the building. Complimentary pyjamas (you can wear them, but you can’t take them home). Slippers are provided – the sign says to refrain from leaving your room in these. 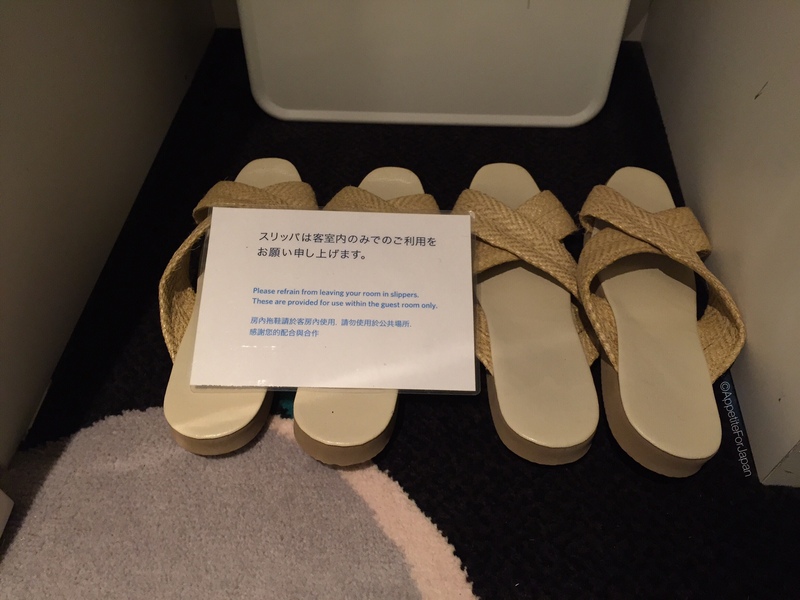 Slippers are pretty standard in Japanese hotels. Sometimes you can keep them, but these don’t look like the sort you can take home (and who would want to keep these, anyway?). 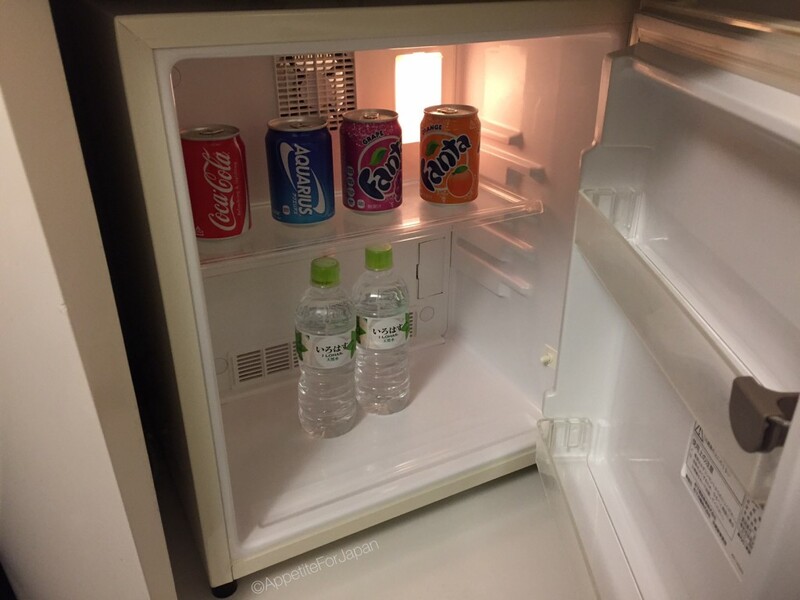 Above: Complimentary drinks in the mini-bar! WiFi is available at the Hilton Tokyo Bay hotel. 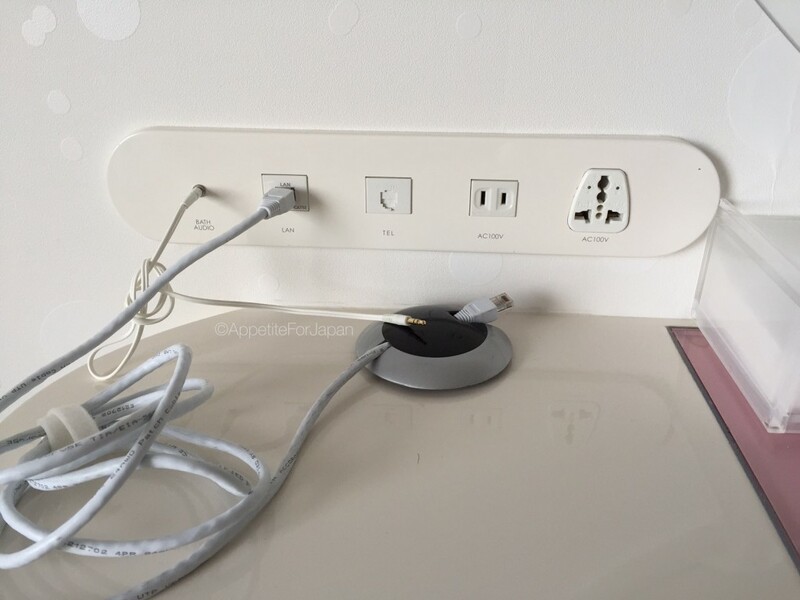 Depending on the room that you’re staying in, you can either pay for it or it may be complimentary. We had complimentary WiFi in the King Celebrio Room. Most of the time we had a lot of trouble with the internet. It was dropping out constantly. It seemed to be worst at night time after the Disney parks closed, which is probably when a lot of guests were using it at the same time. Still, it’s nice to be able to have some internet access, considering that the Disney parks themselves do not have WiFi, and even Hotel MiraCosta doesn’t have WiFi. Breakfast was included in our package – not because we cared about having breakfast included, but because it just happened to be included in the best deal that we could get (scroll down to the bottom of the page for more on that). I didn’t try the breakfast because I wanted to sleep in (and wanted to save room to eat all the food at TDR! ), but my partner tried it. He said it didn’t look particularly appealing, but that it was quite nice. He also said that it was mostly Asian food, from Chinese dumplings and Chinese porridge and fried rice, to Japanese rice and salmon. This is the view from the King Celebrio Park room on the 9th floor. In the distance you can see the Disneyland Hotel, and the top of a few of the Tokyo Disneyland buildings past the trees. If you look carefully, you can just make out Cinderella’s Castle. If you want a better view of Disneyland, you’ll need to book a room at the Disneyland Hotel (which will be double the price, or even more), but even then it doesn’t look directly onto the park. The only hotel that looks directly onto one of the parks – and is, in fact, located within a park – is Tokyo DisneySea Hotel MiraCosta. Again, you can expect to pay more than double (or more) to stay there. Here is the same view by night. 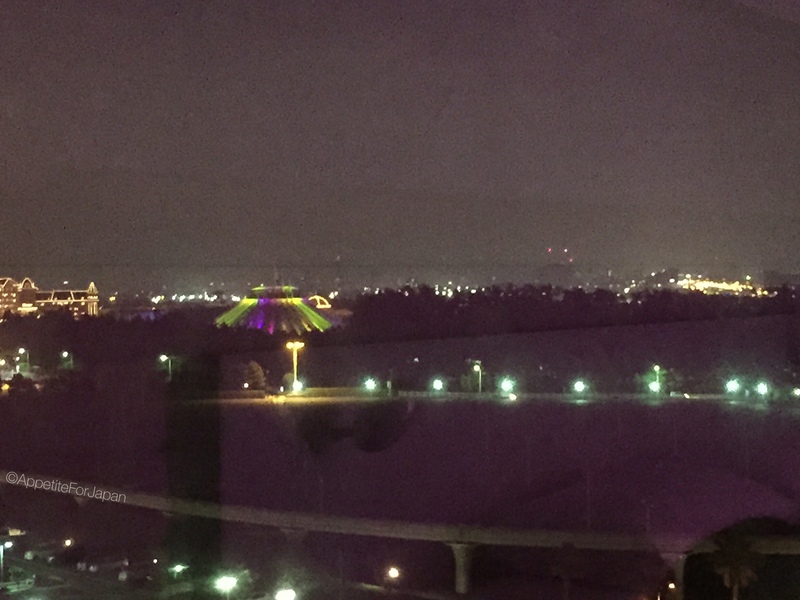 Above: I’d never noticed that Space Mountain was lit up with coloured lights at night! I’ve zoomed in here so you can see it. 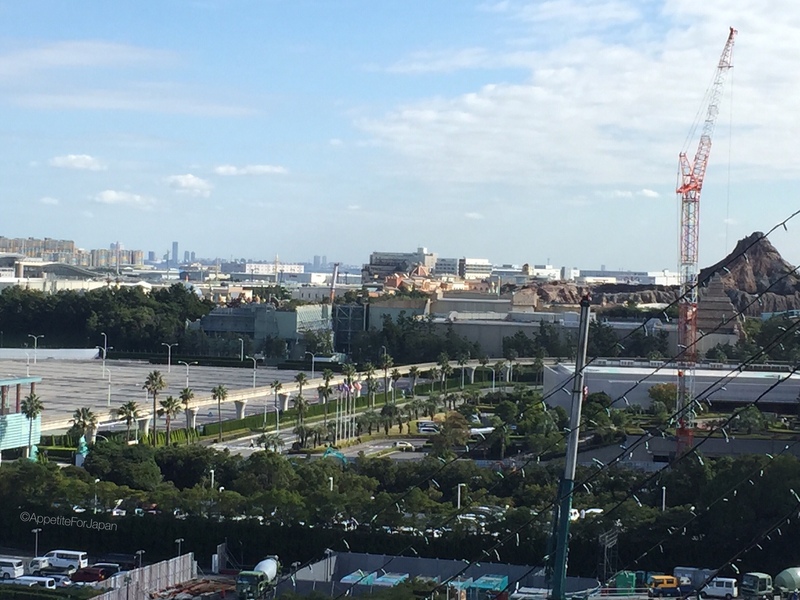 On the left is part of the Tokyo Disneyland Hotel. You can see the fireworks over Cinderella’s Castle from a park view room. We discovered that the fireworks are actually nowhere near the castle (the castle is the purple building toward the left of the photo), but when you’re in the park they look a lot closer. I’ve zoomed in here so that you can see the castle. 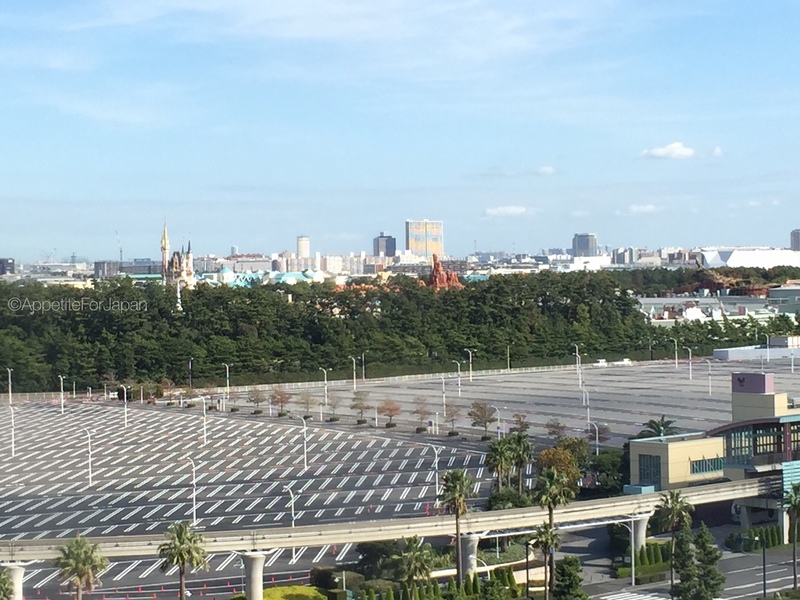 Parts of DisneySea can also be seen from a park view room. That’s Mount Prometheus to the very right of the photo. 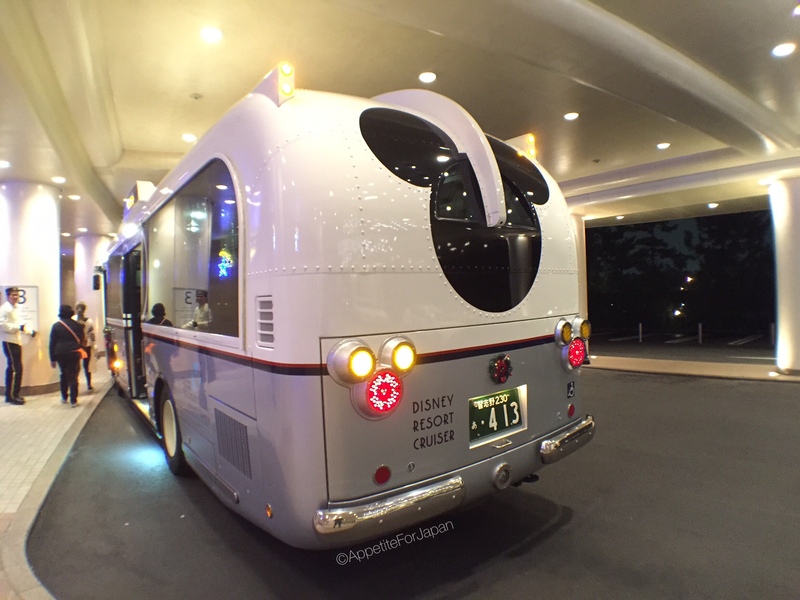 The Disney Resort Cruiser is a bus (a whole fleet of them, in fact) free for guests of the Tokyo Resort Official Hotels – along with the Disney Ambassador Hotel, a Disney Hotel which is further from the parks. It takes guests from their hotels to Bayside Station on the Disney Resort Line (the monorail) and back. 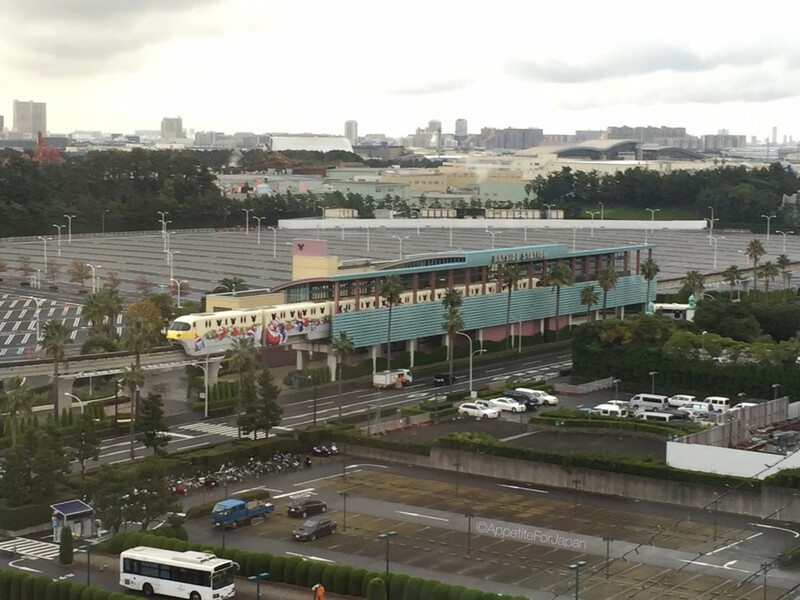 If you’re staying at the Hilton Tokyo Bay hotel, you probably won’t need to catch the Disney Resort Liner, as Bayside Station is only about two minutes’ walk from the hotel. Getting to Hilton Tokyo Bay is really easy. Catch the train to JR Maihama Station (just as you would to visit a Disney park). Head to the Tokyo Disney Resort Welcome Centre – this is just to the left after you exit Maihama Station, just next to Ikspiary (the shopping centre located within TDR). 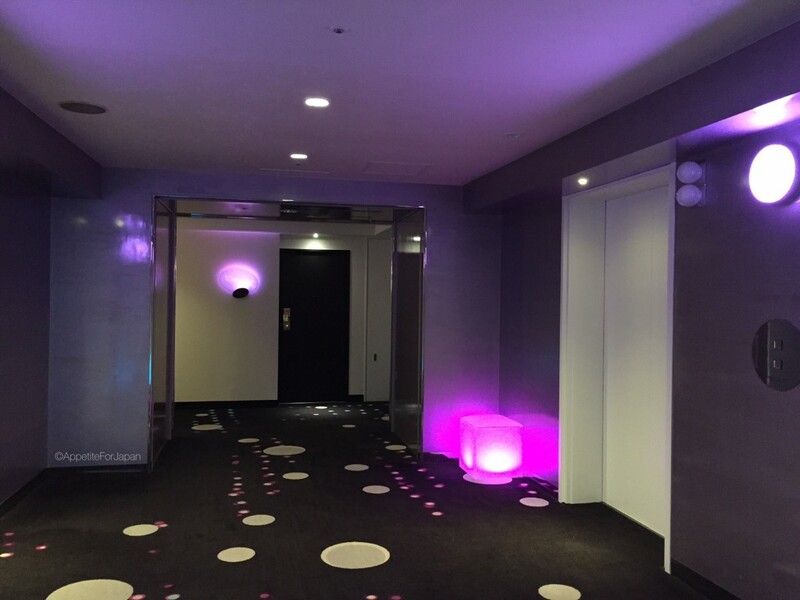 When you walk into the welcome center, a staff member will greet you and direct you to go downstairs (the upstairs area is for the three main Disney Hotels, whereas downstairs is for the Tokyo Disney Resort Official Hotels). There is a separate counter for each hotel. Here you’ll sign the paperwork, drop off your luggage (they’ll deliver it straight to your room free of charge), purchase tickets to the Disney parks, etc. 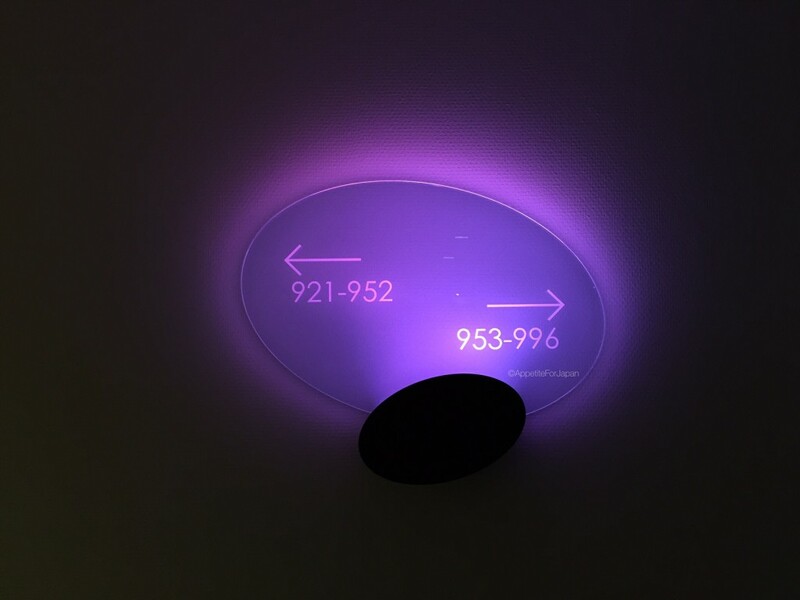 When we arrived, we were given two options to check into our room. If we were willing to wait until 5pm, they could give us our room keys straight away so that we didn’t need to line up at the hotel later on – this worked for us since we were going to be at Disneyland anyway and in no hurry to get to our room. 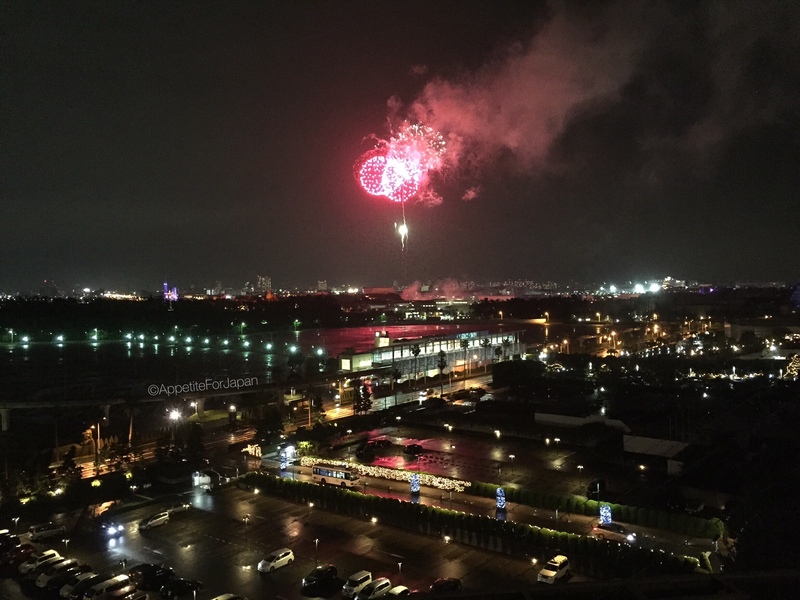 What is a Tokyo Disney Resort Official Hotel? 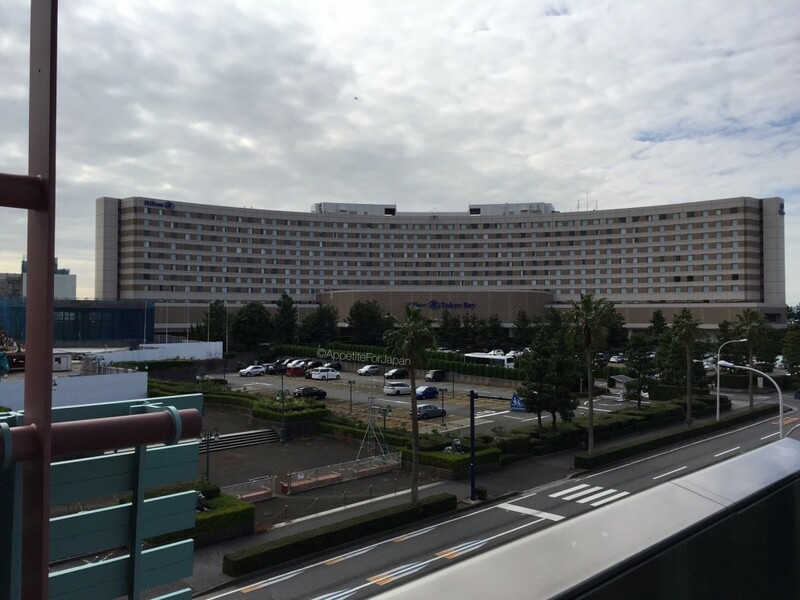 There are four categories of hotels related to Tokyo Disney Resort. The Disney Hotels include the Disney Ambassador Hotel (located near Ikspiary – not on the Disney Resort Line and thus not as close to either of the parks), the Tokyo Disneyland Hotel (the one that looks like a fairytale palace just outside Tokyo Disneyland) and Tokyo DisneySea Hotel MiraCosta (the hotel located within Tokyo DisneySea). The Disney Hotels are by far the most expensive hotels, but there are a number of benefits to staying in these, such as the proximity to the Disney parks (excluding the Disney Ambassador Hotel), and the option of Multi-Day Passport Special tickets which allow guests to visit both parks each day from the very first day. 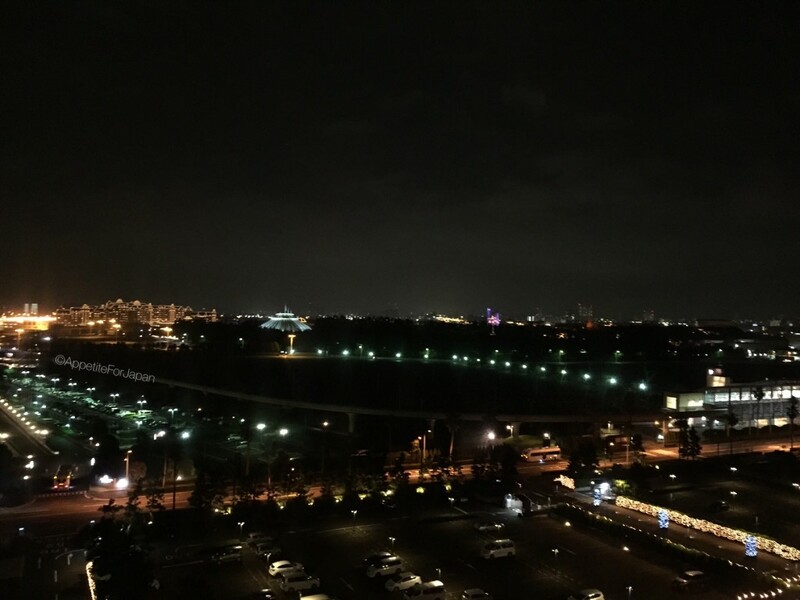 There are six Tokyo Disney Resort Official Hotels – Hilton Tokyo Bay, Sunroute Plaza Tokyo, Sheraton Grande Tokyo Bay Hotel, Tokyo Bay Maihama Hotel, Tokyo Bay Maihama Hotel Club Resort and Hotel Okura Tokyo Bay. The benefits of these hotels include staying within close proximity to the Disney parks (and these hotels are still located within TDR), ability to buy park tickets via the hotels, and guaranteed admission to the parks. Another benefit of these hotels is that the prices are much, much lower than the Disney Hotels. Depending on the hotel you’ll also have the option of WiFi, and the complimentary Disney Resort Cruiser to Bayside Station. 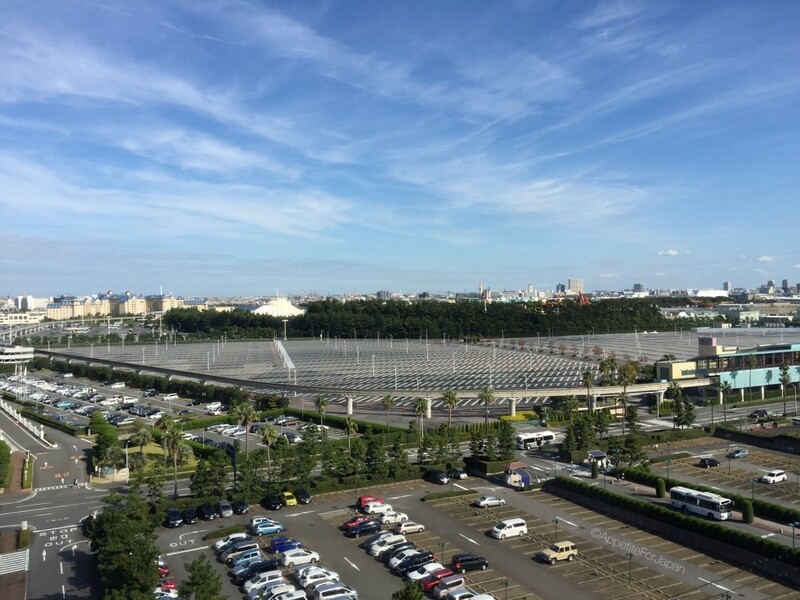 There are five Tokyo Disney Resort Partner Hotels – Urayasu Brighten Hotel Tokyo Bay, Oriental Hotel Tokyo Bay, Palm & Fountain Terrace Hotel, Hotel Emion Tokyo Bay, Mitsui Garden Hotel Prana Tokyo Bay. 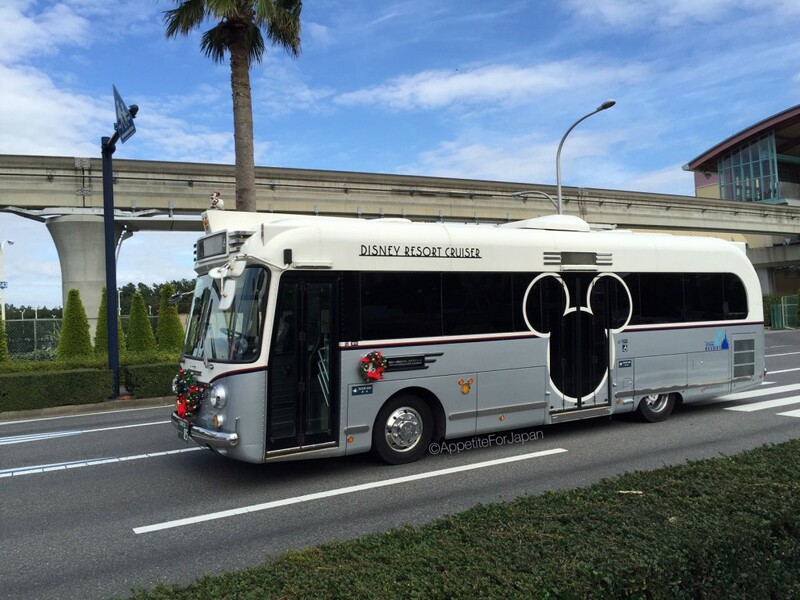 These hotels sell tickets to the Disney parks, and have shuttle bus services to Tokyo Disney Resort. 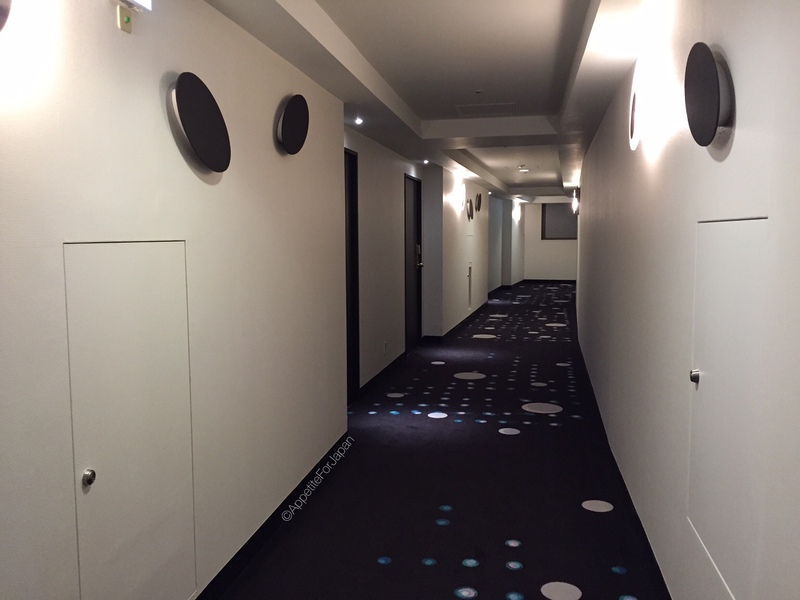 The final category of hotels is the Tokyo Disney Resort Good Neighbor Hotels. 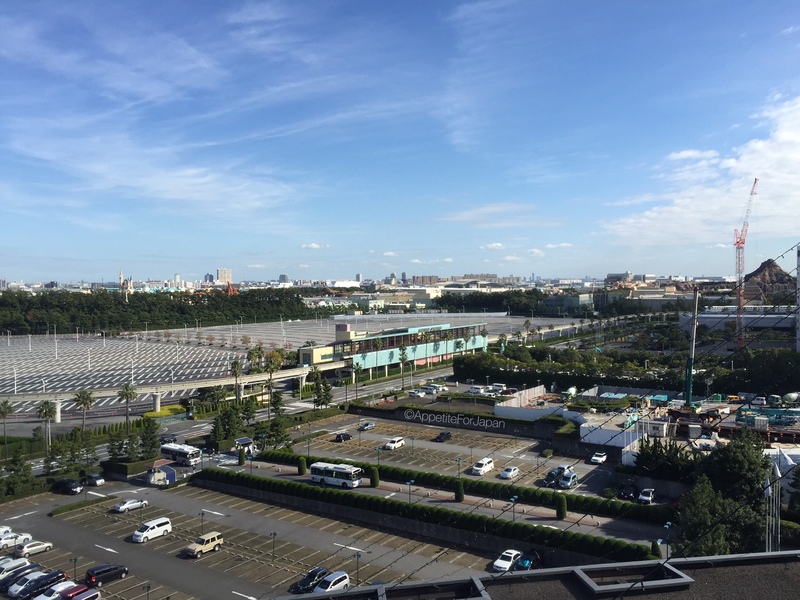 These are hotels located around Tokyo – from Shinjuku to Odaiba and Chiba – which have shuttle bus services to Tokyo Disney Resort. Hotel Grand Pacific Le Daiba (famous for it’s Gundam anime themed rooms) is one of the Tokyo Disney Resort Good Neighbor Hotels. I suppose the benefit of these is that you don’t need to catch the train, but they are a long way from TDR. If you want to stay in a hotel close to TDR, I would recommend choosing a hotel from one of the above categories. 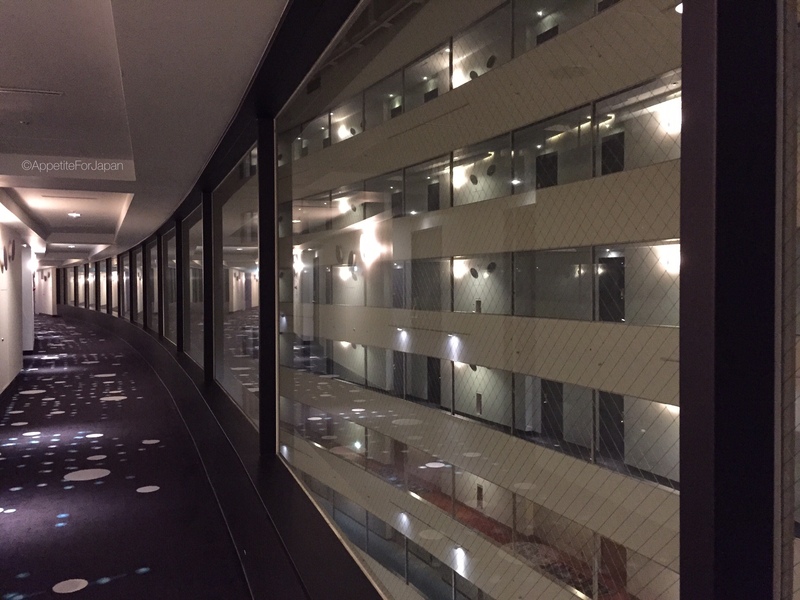 There are two options to get from Hilton Tokyo Bay to the Disney parks. One is to catch the free shuttle bus (not the Disney Resort Cruiser) straight to the park. We caught one of these shuttle buses once and decided not to bother with it again. It was slow and absolutely packed (I did not enjoy having someone’s armpit in my face, and my partner particularly did not enjoy it when another tourist sneezed on his hair). The other option is the Disney Resort Line – the monorail which stops at each of the parks as well as Bayside Station (just two minutes’ walk from Hilton Tokyo Bay) and Resort Gateway Station (right near JR Maihama Station). While the shuttle bus is free, Tokyo Disney Resort Official Hotel guests do need to purchase tickets for the Disney Resort Line, but it’s worth it. It is much more pleasant than the shuttle bus. I recommend buying a Day Pass (you get these for up to four days and you can buy them at any of the monorail stops) rather than buying single tickets to save a lot of money. A single ticket costs 260 Yen for an adult whereas a 1-Day Pass costs 650 Yen for an adult (or 1,400 Yen for an adult’s 4-Day Pass). And yes, you can catch the free Disney Resort Cruiser bus to and from Bayside Station, but as I mentioned earlier, it’s only a two minute walk so you can get to the hotel faster on foot! We booked our stay through Booking.com because we were able to get a better deal this way than booking directly through the Hilton. The package that we chose was a special with no cancellation allowed (we wouldn’t have cancelled unless there were some kind of exceptional circumstances, for which our travel insurance would no doubt apply), so we had to pay upfront. Some packages allow you to pay when you stay – we actually benefited by paying upfront as the currency conversion was kinder to us at the time. Two nights cost us 54,054 Yen, which includes 8% VAT and 10% service charge. That’s about US$446 or AU$622 at the time of writing – so about US$223 or $311 for one night – but the Australian dollar was much better at the time than it is now, so we didn’t pay that much. Booking ahead and paying later is always a gamble when you’re dealing with foreign currencies (especially when you’re an Aussie travelling to a country like Japan), so if we can pay upfront and the currency conversion is decent, then we like to do this. It’s not an option with every hotel, but it was in this instance, and we benefited from it.